Richa Chadha, who has been roped to play the titular character in Indrajit Lankesh biopic Shakeela will be seen romancing Malayalam actor Rajeev Pillai. 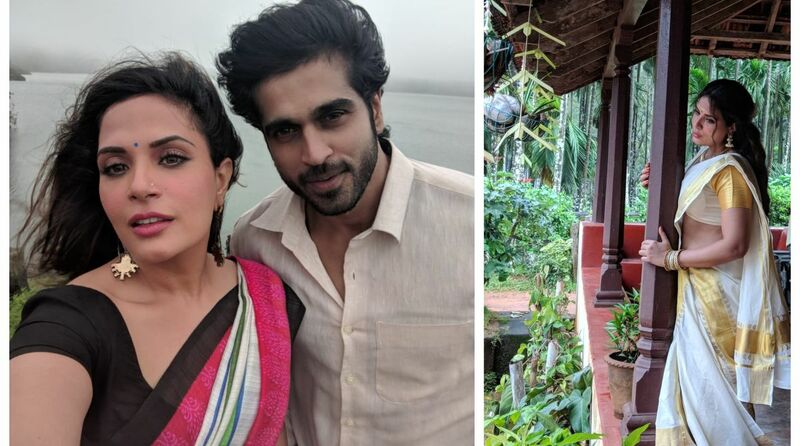 Bollywood actress Richa Chadha, who has been roped to play the titular character in Indrajit Lankesh biopic Shakeela will be seen romancing Malayalam actor Rajeev Pillai. The Fukrey actress, who has started shooting for the film, which captures the early life and career of the Southern star, has a rather charming young man playing her love interest. Rajeev Pillai, a popular model, and Malayalam actor will be portraying the role of a young man Shakeela falls in love with. The multi-talented actor, who debuted as a lead actor with the 2011 crime thriller, City of God, starring Prithviraj Sukumaran, has had a successful career in the fashion industry, having walked the ramp for several major fashion weeks and has also worked for a few international brands. Although not much is known about his role, we are eager to see what this new pairing has in store for us. Shakeela, the iconic Southern actress, ruled the 90s South film circuit with her dynamic personality and a winning streak that turned her into an absolute audience favourite. The film is set to release sometime early next year and the film will focus on the actress’s rise to stardom and her popularity in Malayalam, Telugu and Tamil cinema. Meanwhile, the actress has just returned from Melbourne attending the Indian Film Festival of Melbourne. She is also shooting for Inside Edge 2, the sequel of the super hit series that took India by storm.